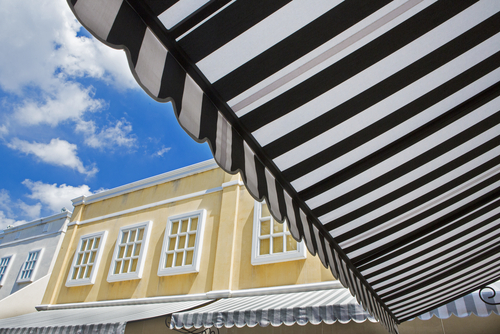 Awnings which are also known as overhangs are exteriors secondary coverings of a building that are placed mainly in the external parts of a building. The notion of its purpose in providing a much cooler environment with little usage of energy is highly attributed in truth and the higher advantage is in its structural appearance to the public. 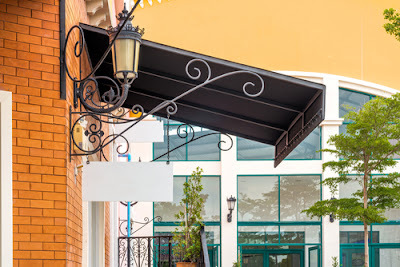 Awning has been placed in both residential homes and commercial buildings and served a multitude of individuals for many decades and is a trend that is continually embellished new styles and designs. 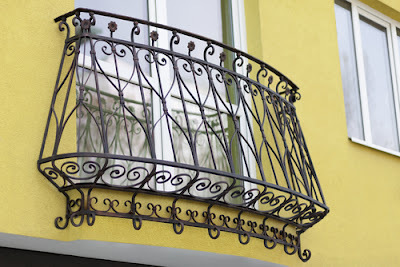 It is inevitable to not notice the unique themes and trendy awning designs currently flourishing our streets and homes in 2015. Some of the beauteous designs will be mentioned below. The retractable awning designs are made in the two main models manual retractable designs and motorized retractable designs. Both model awning designs do offer a great structure of physical area coverage and they are trouble free in installation, maintenance and daily usage. The retractable awning designs are a great choice for both residential and commercial houses and buildings as they are great for back yard porches. They will offer a great cover during the summer and also during spring and winter. No matter the seasons the retractable model designs a great fit for 2015 as they can be customized in the material pattern to make it look both unique and very pleasant. Some of the advantages of using the retractable awnings include; reducing UV damages, reduce the glaring effect of the light, control heat temperature in the environment at very low usage of energy and increase the natural lighting of the environment with little usage of energy and costs. The aluminum composite awning design can come in two main designs and one is a design in which the awning will curve on the edges to be more closed or reserved to a certain space. The other design is a more open design whereby the edges are not curved but rather flat open. The latter design is great for open car garage for both commercial and residential environments. The first designed is great when it is attached to a residential home as it offers a warm welcome to all inhabitants and visitors. It is also ideally applicable in commercial settings of cafes and libraries. This awning design is mainly made from aluminum and is also flexible in customizing the overall outlook of the awning. It is easy to maintain and clean to ensure a pleasant outlook of the entire environment and is one of the most durable awnings in the industry as it can outlast all weathers of rain, heat and snow. Some of the main advantages of the aluminum awning design for 2015 include; they do not allow any light to pass through and thus offers a very cool shade, they are heat resistant and do offer sound insulation thus providing great comfort in the environment. The polycarbonate solid awning is a very unique trend in 2015 at offers a very classical outlook and is great for both residential and commercial building settings. It is used to replace glass as it is much stronger and very durable especially with the impact of different climatic seasons. The unique style with polycarbonate solid designs is that it can fit into almost any site as it can be used in a garden setting. Front and back door setting of building or home and even at a car parking lot. Some of the advantages of the polycarbonate solid awning design for 2015 include; it is much lighter in weight than glass and thus is very easy to use over glass, it is much stronger than glass and thus even more durable and it allows more light to pass through while balancing the illumination of the sunlight. Window awnings have been a traditional setting however in 2015 this new trendy awning design is being embraced with uniqueness in the overall outlook of the window awning design. It is now motorized to either be opened or closed upon choice and the outlook of the main awning clothe is customized according to one’s taste. The main advantages oft the window awning design for 2015 is that it will offer a great balance in heat temperatures in an environment, it will reduce the amount of light reaching to the interior part of the building, and finally offer a cool yet warm environment that is very welcoming. The polycarbonate twinwall awning design for 2015 does offer a very new model towards enriching the beauty of your environment. They are applicable in both residential and commercial building and homes and they are designed to provide more shade and reduce the level of heat penetrating the environment. The polycarbonate twinwall awning design is made in a manner that will leave your environment looking bright while reducing the amount of light that penetrate the awning. This will create a very natural outlook of both the exterior and interior environments. Some of the main advantages that can be accrued from using a polycarbonate twinwall include; the quality of durability is very high as these awning designs for 2015 can endure all climatic weather changes such as the rain, sun and snow, it also possesses UV resistance and finally you do not have to change anything in your environment as these awning tend to blend right in with the environment. Entrance awning designs for 2015 are also becoming a great trend as many are illuminating the notion that the entrance awnings create a more attractive and warmer welcome for guests. This is especially noticed among commercial buildings where by business are looking to provide the warmest welcome to all their guests and the best way to do this is to have an entrance awning. The best part is that the entrance awning for 2015 does envelop wide criteria on how to look thus increasing the chances of having more clients step in. The trendy awning designs for 2015 mentioned above are each a great choice depending on the environment and affable taste of the users. You can opt to either go online or physically visit awning companies and have a good look at these designs and gain a wealthier experience in your choice of awning designs. Just by installing weatherproof blinds on your windows you can prevent the direct heat of sunlight and rain also outside of your windows. That means it can help you control the temperature of your house and it can protect the look also. Other than this, weatherproof blinds can enhance the look of your home also in an amazing manner. However, you need to understand that you can get all these benefits only if you choose and install it in a proper manner. To help you more in this, here I am suggesting 6 mistakes that you should avoid when installing weatherproof blinds on your windows. Not taking the proper measurement is one of the biggest mistakes that people make while installing weatherproof blinds in their home. When people take the measurement for their weatherproof blinds, then they take the measurement by themselves, but they do not measure the sides or corners while taking this measurement. In order to avoid this mistake it is strongly recommended that while installing your weatherproof blinds, it is suggested that you take proper measurement for each and every window. Also, when you note the measurement then make sure you note your details in an organized manner and you note down the measurement according to height and width of your window. Sometime people take proper measurement for their windows to install the weatherproof blinds in their home, but instead of taking the measurement for each and every window they take measurement for only one window. If you are doing this mistake then you have to avoid it else you will surely get a lot of problems in your window blinds. In order to get the best result from it, it is strongly recommended that you take the measurement of every window while buying the weatherproof blinds for your home. When you will take the measurement of every window, then you will be able to install it also in easy manner. Your weatherproof blinds can give you the optimum result only if you will buy the right kind of blinds for your home. In this process, you have to understand that if you will not use the right kind of blinds for your home, then it might not protect your home or window from harsh weather. I am sure you don’t want to have this problem in your house, so it is strongly suggested that you take peoples opinion about right kind of blinds for the same. Also, you can take the help of experts to choose the right kind of blinds to get the optimum result with it. While installing the weatherproof blinds on window, sometime people install it in an improper manner and as a result of this they do not get the protection from weather. Talking about these mistakes, people do not take care of angle of light of wind effect and that reduce the effects of weatherproof blinds. So, if you do not wish to face such complications then at that time of installation of your blinds, make sure you cover all those factors that can affect the result. That also means you need to check the sung light angel, raining amount and winds during raining season. Sometime people do the installation in a proper manner but they choose improper brackets, which reduce the effects of weatherproof blinds. Because of improper brackets your blind can either change its position or it can fall off from its place. Other than this sometime people try to save money and they use some low quality brackets to install the weatherproof blinds and this low quality bracket leaves a negative effect. In order to avoid this problem or complication it is strongly recommended that you do not use the wrong brackets, neither you settle for the low quality brackets while installing it. And if you will keep this thing in your mind, then you will surely get much better result from your blinds installation. Weatherproof blinds need to deal with many atmospheric conditions such as high rain, and extreme heat. 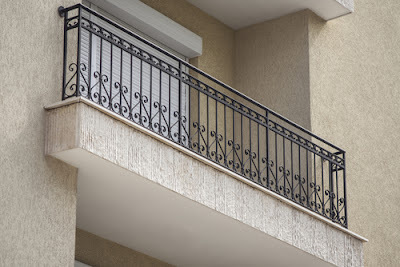 Other than this, if you are installing it at higher floors then it may face a lot of winds also that can either remove the blinds from its location or it can just damage it because of the fast wind. Indeed, you cannot control the temperature, rain or wind, but if you will keep these factors in your mind while installing or buying the blinds for your home, then you will be able to get a very long life from it. If you are going to install the weatherproof blinds in your home by your own hands, then you need to use a lot of tools and protective measures for same. If you will choose wrong kind of tools then you will not be able to get the optimum result with it and if you will not have proper measures for protection then also you will feel trouble in installing it. That means it is extremely important and necessary that you use right kind of tools and protective measures to install the same at your home. And when you will use these things then you will get protection and better result both in an easy manner. In case you can follow all these tips and suggestion that I shared above, then I can give you assurance that you will be able to install the weatherproof blinds in a perfect manner. But if you feel you cannot avoid all these mistakes then it is a good idea that you hire some professional for this installation. Indeed, you will need to pay some money to professionals for their work, but the return of investment will be higher and you will remain safe also. So, when you do it, then make sure you take your decision accordingly and you get the optimum result with it.